The use of each medicine included in Right Breathe has been considered in relation to international, national, and regional prescribing pathways. The pathway points at which this medicine is considered a viable prescribing option are included below. If you wish to view the entire pathway, click on its heading, from where you can also access all the prescribing options for each pathway and each pathway point. Detailed prescribing information is provided below. This content has not been generated by the RightBreathe team, but has been integrated from a 3rd party solution: Multilex (provided by FirstDataBank). Use of this prescribing content is subject to the FirstDataBank disclaimer, which is set out in the "About" section of RightBreathe. 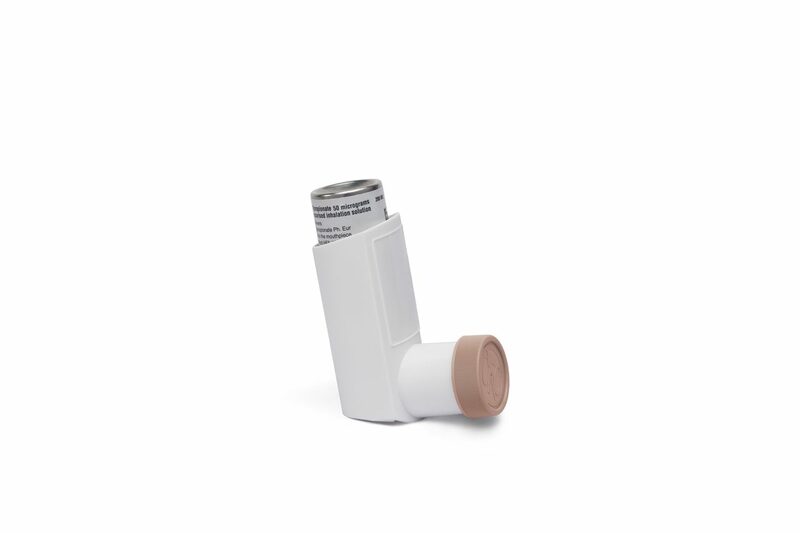 As RightBreathe is a bespoke decision support tool, it covers each and every individual known inhaler option on the UK market to a high level of specificity. Multilex, as a more general resource, does not offer the same level of specificity. There are therefore a small number of medicines for which there are discrepancies between RightBreathe and Multilex content, most notably in relation to licensed particulars and associated licensed doses. 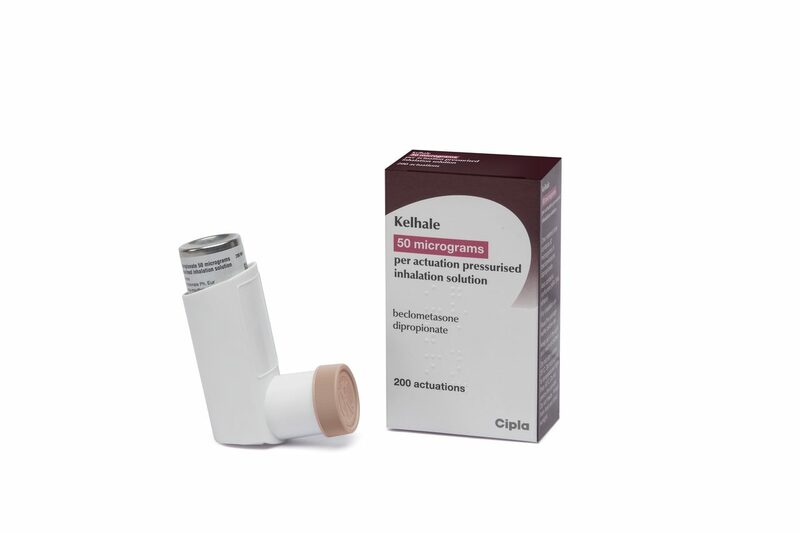 Given the high level of specificity the RightBreathe team work to, details of the individual inhaler licence are most likely to be summarised accurately in the content provided at the top of this page, rather than in the Multilex content below. Where there is ambiguity, users may also wish to refer to individual summaries of product characteristics prior to prescribing. RIBOCICLIB Increased risk of systemic corticosteroid adverse effects Significant Risk: Usually avoid combination. Use combination only under special circumstances, taking any necessary action to reduce risk. TIPRANAVIR Increased risk of systemic corticosteroid adverse effects Significant Risk: Usually avoid combination. Use combination only under special circumstances, taking any necessary action to reduce risk. (NELFINAVIR) Increased risk of systemic corticosteroid adverse effects Moderate Risk: Minimise risk. Take action necessary to reduce risk. Counsel patient. (TELITHROMYCIN) Increased risk of systemic corticosteroid adverse effects Moderate Risk: Minimise risk. Take action necessary to reduce risk. Counsel patient. ATAZANAVIR WITH COBICISTAT Increased risk of systemic corticosteroid adverse effects Moderate Risk: Minimise risk. Take action necessary to reduce risk. Counsel patient. CLARITHROMYCIN Increased risk of systemic corticosteroid adverse effects Moderate Risk: Minimise risk. Take action necessary to reduce risk. Counsel patient. COBICISTAT Increased risk of systemic corticosteroid adverse effects Moderate Risk: Minimise risk. Take action necessary to reduce risk. Counsel patient. DARUNAVIR WITH COBICISTAT Increased risk of systemic corticosteroid adverse effects Moderate Risk: Minimise risk. Take action necessary to reduce risk. Counsel patient. DARUNAVIR, COBICISTAT, EMTRICITABINE AND TENOFOVIR ALAFENAMIDE Increased risk of systemic corticosteroid adverse effects Moderate Risk: Minimise risk. Take action necessary to reduce risk. Counsel patient. ELVITEGRAVIR, COBICISTAT, EMTRICITABINE AND TENOFOVIR ALAFENAMIDE Increased risk of systemic corticosteroid adverse effects Moderate Risk: Minimise risk. Take action necessary to reduce risk. Counsel patient. ELVITEGRAVIR, COBICISTAT, EMTRICITABINE AND TENOFOVIR DISOPROXIL Increased risk of systemic corticosteroid adverse effects Moderate Risk: Minimise risk. Take action necessary to reduce risk. Counsel patient. IDELALISIB Increased risk of systemic corticosteroid adverse effects Moderate Risk: Minimise risk. Take action necessary to reduce risk. Counsel patient. INDINAVIR Increased risk of systemic corticosteroid adverse effects Moderate Risk: Minimise risk. Take action necessary to reduce risk. Counsel patient. ITRACONAZOLE Increased risk of systemic corticosteroid adverse effects Moderate Risk: Minimise risk. Take action necessary to reduce risk. Counsel patient. KETOCONAZOLE Increased risk of systemic corticosteroid adverse effects Moderate Risk: Minimise risk. Take action necessary to reduce risk. Counsel patient. MIFEPRISTONE Corticosteroid effect may be reduced for 3 to 4 days after treatment Moderate Risk: Minimise risk. Take action necessary to reduce risk. Counsel patient. OMBITASVIR, PARITAPREVIR AND RITONAVIR Increased risk of systemic corticosteroid adverse effects Moderate Risk: Minimise risk. Take action necessary to reduce risk. Counsel patient. POSACONAZOLE Increased risk of systemic corticosteroid adverse effects Moderate Risk: Minimise risk. Take action necessary to reduce risk. Counsel patient. RITONAVIR Increased risk of systemic corticosteroid adverse effects Moderate Risk: Minimise risk. Take action necessary to reduce risk. Counsel patient. SAQUINAVIR Increased risk of systemic corticosteroid adverse effects Moderate Risk: Minimise risk. Take action necessary to reduce risk. Counsel patient. VORICONAZOLE Increased risk of systemic corticosteroid adverse effects Moderate Risk: Minimise risk. Take action necessary to reduce risk. Counsel patient. (SIMEPREVIR) Increased risk of systemic corticosteroid adverse effects Low Risk: No action needed. Risk of adverse outcomes appears small and depends upon the condition of the patient. Counsel patient. ALPRAZOLAM Increased risk of systemic corticosteroid adverse effects Low Risk: No action needed. Risk of adverse outcomes appears small and depends upon the condition of the patient. Counsel patient. AMIODARONE Increased risk of systemic corticosteroid adverse effects Low Risk: No action needed. Risk of adverse outcomes appears small and depends upon the condition of the patient. Counsel patient. AMLODIPINE Increased risk of systemic corticosteroid adverse effects Low Risk: No action needed. Risk of adverse outcomes appears small and depends upon the condition of the patient. Counsel patient. AMPRENAVIR / FOSAMPRENAVIR Increased risk of systemic corticosteroid adverse effects Low Risk: No action needed. Risk of adverse outcomes appears small and depends upon the condition of the patient. Counsel patient. APREPITANT / FOSAPREPITANT Increased risk of systemic corticosteroid adverse effects Low Risk: No action needed. Risk of adverse outcomes appears small and depends upon the condition of the patient. Counsel patient. ATAZANAVIR Increased risk of systemic corticosteroid adverse effects Low Risk: No action needed. Risk of adverse outcomes appears small and depends upon the condition of the patient. Counsel patient. ATORVASTATIN Increased risk of systemic corticosteroid adverse effects Low Risk: No action needed. Risk of adverse outcomes appears small and depends upon the condition of the patient. Counsel patient. AZITHROMYCIN Increased risk of systemic corticosteroid adverse effects Low Risk: No action needed. Risk of adverse outcomes appears small and depends upon the condition of the patient. Counsel patient. BICALUTAMIDE Increased risk of systemic corticosteroid adverse effects Low Risk: No action needed. Risk of adverse outcomes appears small and depends upon the condition of the patient. Counsel patient. CICLOSPORIN Increased risk of systemic corticosteroid adverse effects Low Risk: No action needed. Risk of adverse outcomes appears small and depends upon the condition of the patient. Counsel patient. CILOSTAZOL Increased risk of systemic corticosteroid adverse effects Low Risk: No action needed. Risk of adverse outcomes appears small and depends upon the condition of the patient. Counsel patient. CIMETIDINE Increased risk of systemic corticosteroid adverse effects Low Risk: No action needed. Risk of adverse outcomes appears small and depends upon the condition of the patient. Counsel patient. CIPROFLOXACIN Increased risk of systemic corticosteroid adverse effects Low Risk: No action needed. Risk of adverse outcomes appears small and depends upon the condition of the patient. Counsel patient. COMBINED ORAL CONTRACEPTIVES Increased risk of systemic corticosteroid adverse effects Low Risk: No action needed. Risk of adverse outcomes appears small and depends upon the condition of the patient. Counsel patient. CRIZOTINIB Increased risk of systemic corticosteroid adverse effects Low Risk: No action needed. Risk of adverse outcomes appears small and depends upon the condition of the patient. Counsel patient. DACLATASVIR Increased risk of systemic corticosteroid adverse effects Low Risk: No action needed. Risk of adverse outcomes appears small and depends upon the condition of the patient. Counsel patient. DARUNAVIR Increased risk of systemic corticosteroid adverse effects Low Risk: No action needed. Risk of adverse outcomes appears small and depends upon the condition of the patient. Counsel patient. DILTIAZEM Increased risk of systemic corticosteroid adverse effects Low Risk: No action needed. Risk of adverse outcomes appears small and depends upon the condition of the patient. Counsel patient. DRONEDARONE Increased risk of systemic corticosteroid adverse effects Low Risk: No action needed. Risk of adverse outcomes appears small and depends upon the condition of the patient. Counsel patient. ELBASVIR WITH GRAZOPREVIR Increased risk of systemic corticosteroid adverse effects Low Risk: No action needed. Risk of adverse outcomes appears small and depends upon the condition of the patient. Counsel patient. ERYTHROMYCIN Increased risk of systemic corticosteroid adverse effects Low Risk: No action needed. Risk of adverse outcomes appears small and depends upon the condition of the patient. Counsel patient. EVEROLIMUS Increased risk of systemic corticosteroid adverse effects Low Risk: No action needed. Risk of adverse outcomes appears small and depends upon the condition of the patient. Counsel patient. FLUCONAZOLE Increased risk of systemic corticosteroid adverse effects Low Risk: No action needed. Risk of adverse outcomes appears small and depends upon the condition of the patient. Counsel patient. FLUVOXAMINE Increased risk of systemic corticosteroid adverse effects Low Risk: No action needed. Risk of adverse outcomes appears small and depends upon the condition of the patient. Counsel patient. IMATINIB Increased risk of systemic corticosteroid adverse effects Low Risk: No action needed. Risk of adverse outcomes appears small and depends upon the condition of the patient. Counsel patient. ISAVUCONAZOLE Increased risk of systemic corticosteroid adverse effects Low Risk: No action needed. Risk of adverse outcomes appears small and depends upon the condition of the patient. Counsel patient. ISONIAZID Increased risk of systemic corticosteroid adverse effects Low Risk: No action needed. Risk of adverse outcomes appears small and depends upon the condition of the patient. Counsel patient. IVACAFTOR Increased risk of systemic corticosteroid adverse effects Low Risk: No action needed. Risk of adverse outcomes appears small and depends upon the condition of the patient. Counsel patient. LACIDIPINE Increased risk of systemic corticosteroid adverse effects Low Risk: No action needed. Risk of adverse outcomes appears small and depends upon the condition of the patient. Counsel patient. LINAGLIPTIN Increased risk of systemic corticosteroid adverse effects Low Risk: No action needed. Risk of adverse outcomes appears small and depends upon the condition of the patient. Counsel patient. LOMITAPIDE Increased risk of systemic corticosteroid adverse effects Low Risk: No action needed. Risk of adverse outcomes appears small and depends upon the condition of the patient. Counsel patient. MICONAZOLE (ORAL AND PARENTERAL) Increased risk of systemic corticosteroid adverse effects Low Risk: No action needed. Risk of adverse outcomes appears small and depends upon the condition of the patient. Counsel patient. NETUPITANT Increased risk of systemic corticosteroid adverse effects Low Risk: No action needed. Risk of adverse outcomes appears small and depends upon the condition of the patient. Counsel patient. NILOTINIB Increased risk of systemic corticosteroid adverse effects Low Risk: No action needed. Risk of adverse outcomes appears small and depends upon the condition of the patient. Counsel patient. OBETICHOLIC ACID Increased risk of systemic corticosteroid adverse effects Low Risk: No action needed. Risk of adverse outcomes appears small and depends upon the condition of the patient. Counsel patient. PALBOCICLIB Increased risk of systemic corticosteroid adverse effects Low Risk: No action needed. Risk of adverse outcomes appears small and depends upon the condition of the patient. Counsel patient. PAZOPANIB Increased risk of systemic corticosteroid adverse effects Low Risk: No action needed. Risk of adverse outcomes appears small and depends upon the condition of the patient. Counsel patient. PROPIVERINE Increased risk of systemic corticosteroid adverse effects Low Risk: No action needed. Risk of adverse outcomes appears small and depends upon the condition of the patient. Counsel patient. RANITIDINE / NIZATIDINE Increased risk of systemic corticosteroid adverse effects Low Risk: No action needed. Risk of adverse outcomes appears small and depends upon the condition of the patient. Counsel patient. RANOLAZINE Increased risk of systemic corticosteroid adverse effects Low Risk: No action needed. Risk of adverse outcomes appears small and depends upon the condition of the patient. Counsel patient. STIRIPENTOL Increased risk of systemic corticosteroid adverse effects Low Risk: No action needed. Risk of adverse outcomes appears small and depends upon the condition of the patient. Counsel patient. TACROLIMUS (ORAL AND PARENTERAL) Increased risk of systemic corticosteroid adverse effects Low Risk: No action needed. Risk of adverse outcomes appears small and depends upon the condition of the patient. Counsel patient. TERIFLUNOMIDE Increased risk of systemic corticosteroid adverse effects Low Risk: No action needed. Risk of adverse outcomes appears small and depends upon the condition of the patient. Counsel patient. TOLVAPTAN Increased risk of systemic corticosteroid adverse effects Low Risk: No action needed. Risk of adverse outcomes appears small and depends upon the condition of the patient. Counsel patient. VERAPAMIL Increased risk of systemic corticosteroid adverse effects Low Risk: No action needed. Risk of adverse outcomes appears small and depends upon the condition of the patient. Counsel patient.